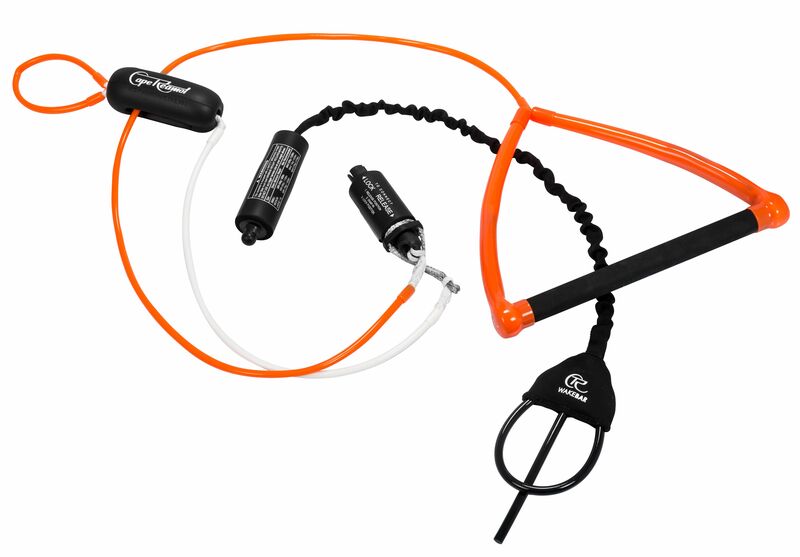 The CR WAKEBAR is the same system as the one used in the WAKE & SKI HARNESS SET, but with a very special connecting member, the so called “chicken loop” as we already know it from the Kitebar. 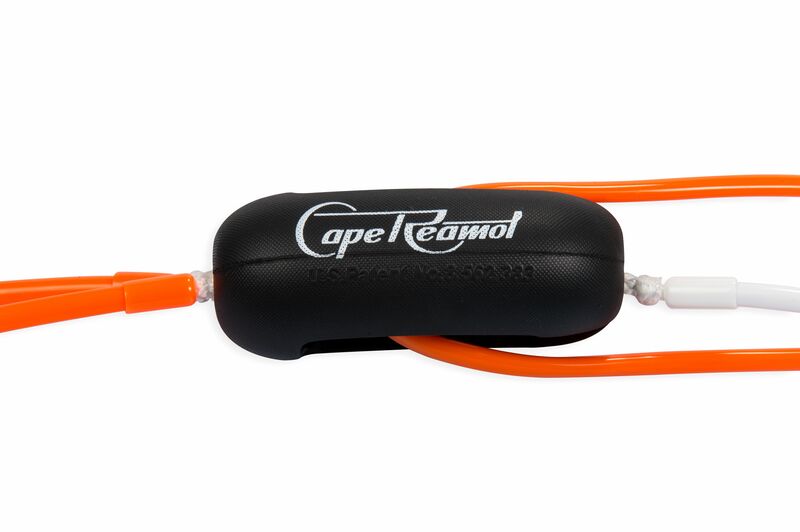 It is universal so one size fits all and can be used with any kite or windsurf harness. 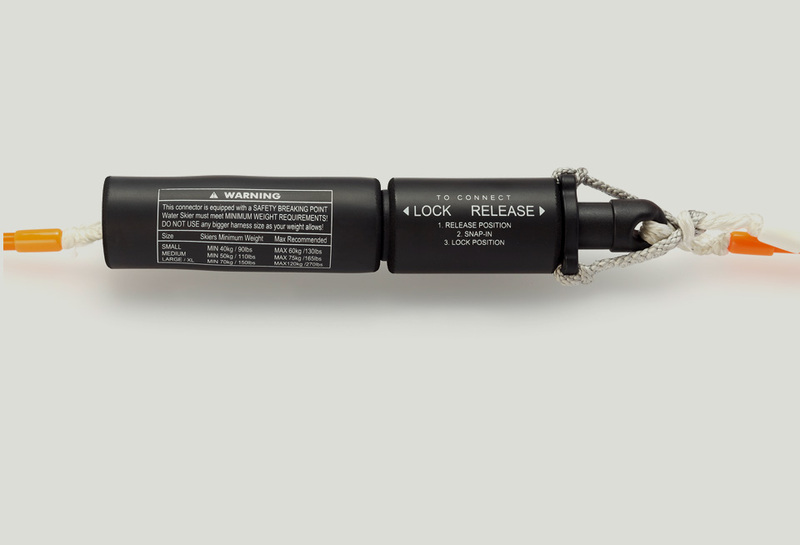 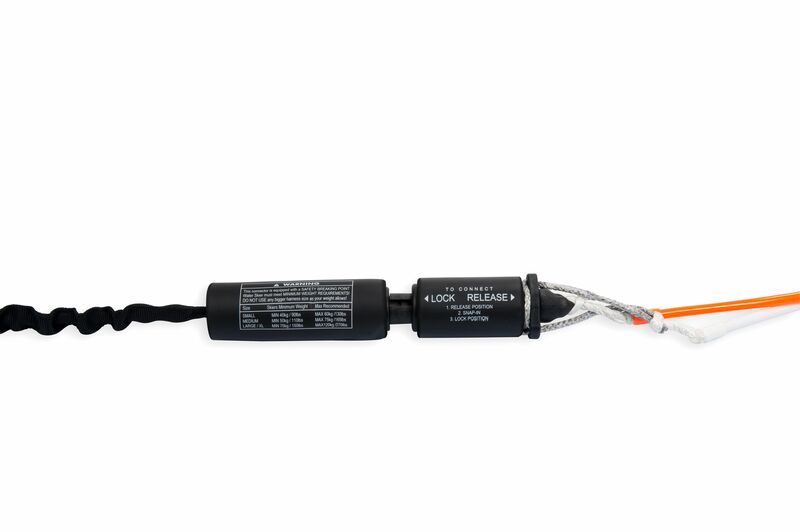 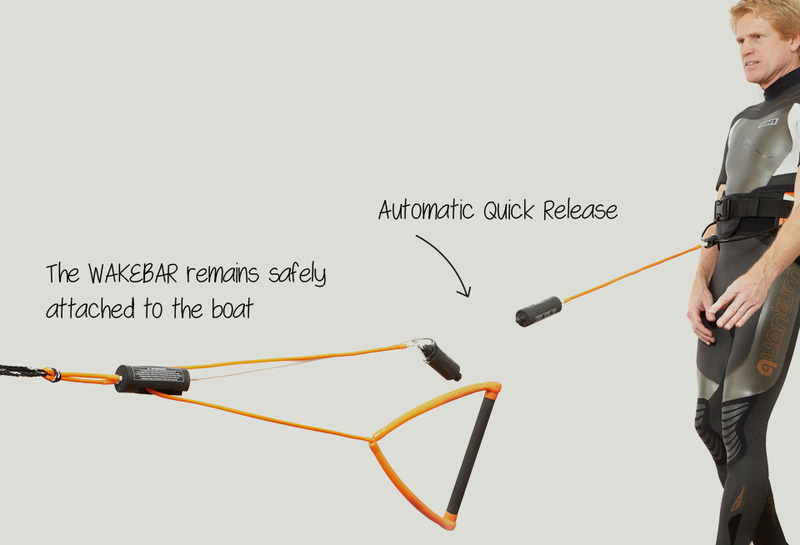 The CR WAKEBAR is a patented tow-system that allows to connect the handle to the harness and to the mainline in order to effectively halve the force acting on the handle. 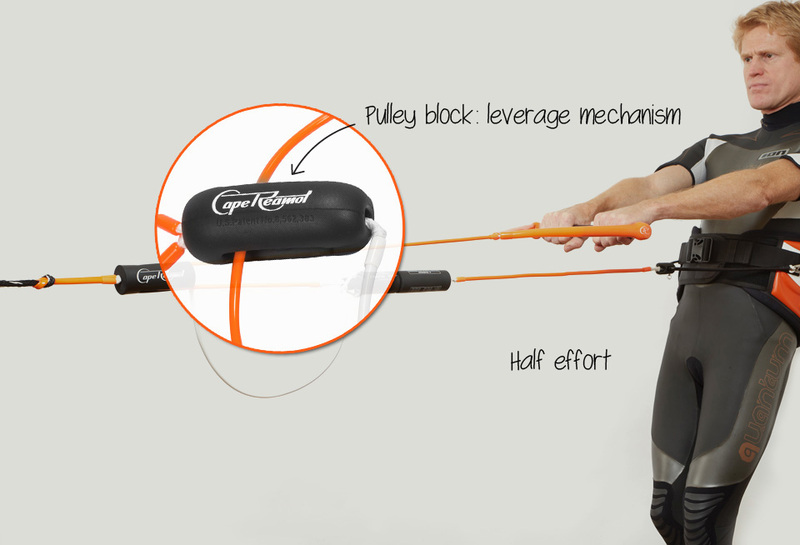 The pulley block allows all water-ski-typical body movements and inclinations, total freedom in every situation. 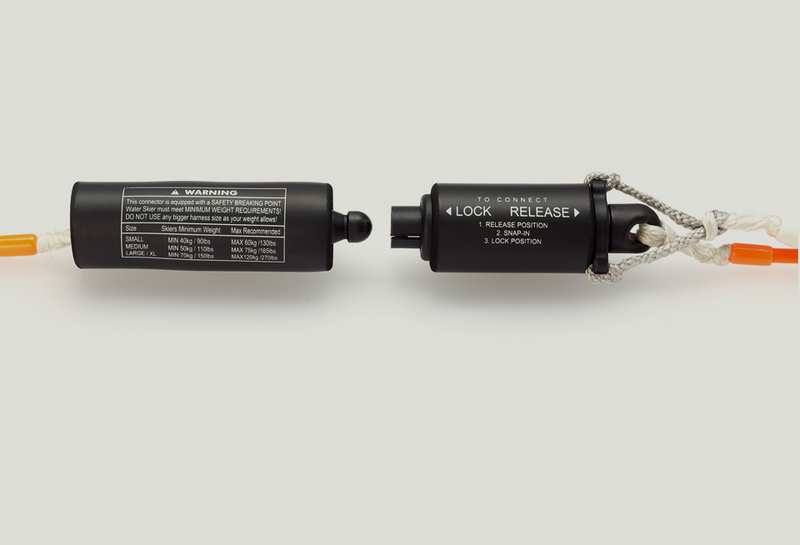 The tow-system is equipped with an automatic quick release. 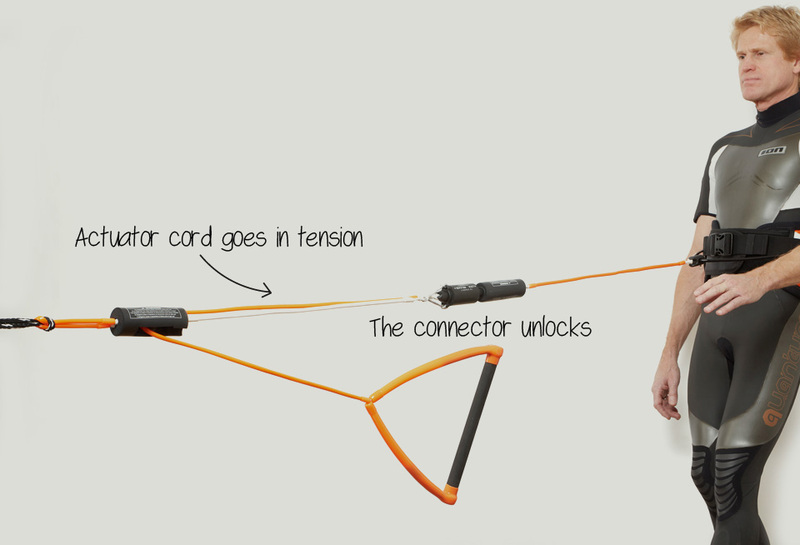 It will release the connection to the harness immediately once you release or loose the handle. 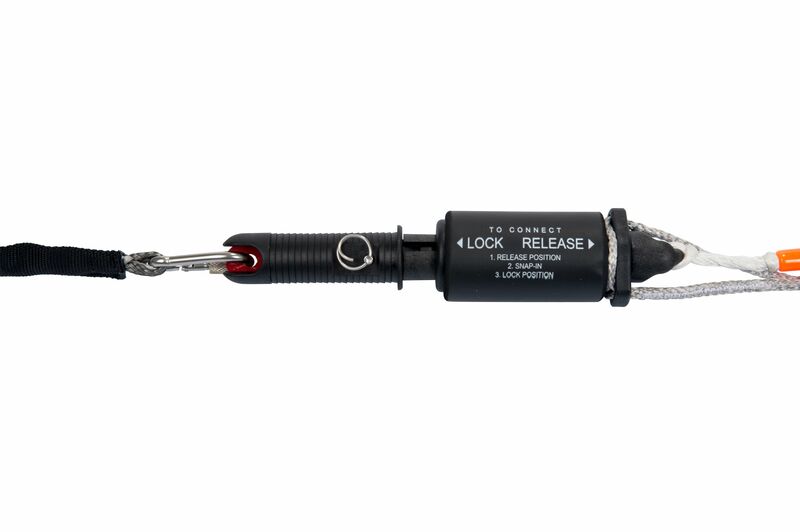 (There is no trigger to be hold and no action required, the quick release will be activated through a release cord). 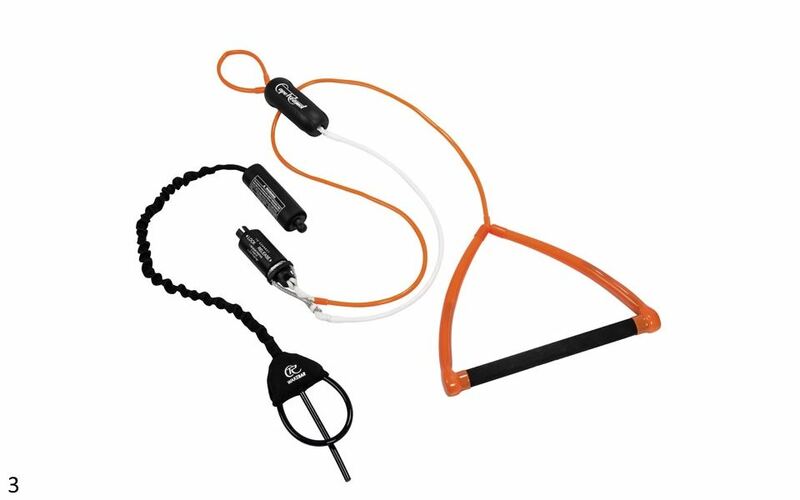 Only one-half of the strength is required to hold the handle, the other half is well distributed by the harness you are using, it can be any Kite or surf harness. 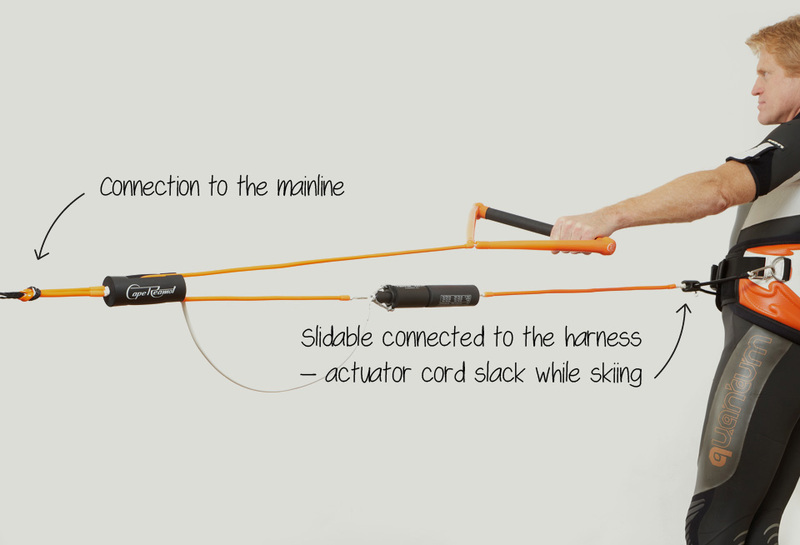 If you have already a kite or windsurf harness the CR WAKEBAR is your choice.